I've been saying it for years-- Cook is a good resource, the day after the election. Their ratings are a joke... way behind reality on the ground. If they say a race is a toss up, it usually means it's in the bag for the challenger. If they claim a race is leaning Republican, it means, it's a toss up. Cook has rated NY-24 (Syracuse), "likely Republican." That's insane. 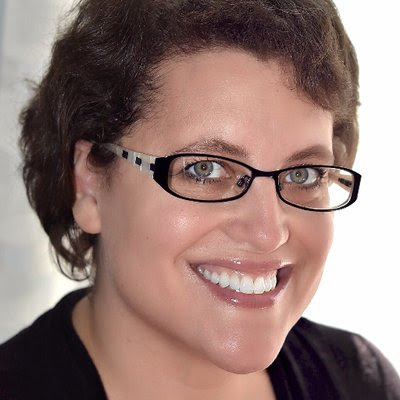 Once the progressive, non-DCCC candidate, Dana Balter, beat the status quo shill the DCCC was pushing, the race should have been rated a toss up. The incumbent, Republican John Katko, tries to paint himself as a "moderate" or a "Mainstream conservative." By the standards of his district, he isn't. He's another Trump enabling rubber stamp. On the Trump-affinity scoreboard FiveThirtyEight keeps updating, Katko ranks an 89.9%-- he just rubberstamps the whole Trump platform, including Trump's anti-healthcare agenda and anti-environment agenda. Based on the political realities of the district, FiveThirtyEight predicted Katko's score would be a 60.0%, not an 89.9%. In 2008 Obama beat McCain 56-42% here and then beat Romney 57-41%. Even Hillary won-- 48.9% to 45.3%. The PVI is D+3 and the only reason there's a Republican incumbent is because the DCCC keeps shoving terrible conservatives down the throats of the voters. They tried it again this cycle and the voters ran them out of town on a rail. Had Williams won the primary, Cook would have been correct-- lean Republican. But with the DCCC finally unable to slip another Republican-lite candidate into the race, there's no reason to imagine Balter will replace Katko. Of course, the DCCC pouted and fumed but has finally come around to realize they have to get on the bandwagon and help, even if they hate progressives. And a new poll by PPP released yesterday bears that out. Look at this-- even the DCCC can understand these numbers... and rushed to add Balter to their Red-to-Blue list. 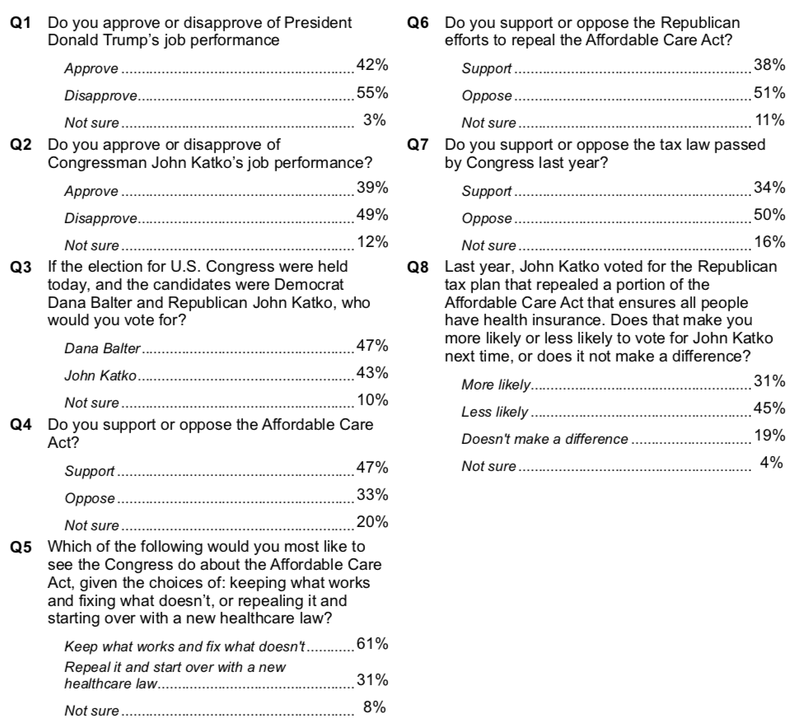 Healthy hatred for Trump and Trumpism, Katko's negative job performance ratings, opposition to the Republican agenda... all add up to one thing: Balter, who is just getting known to the general election voters, is already ahead 47-43%. 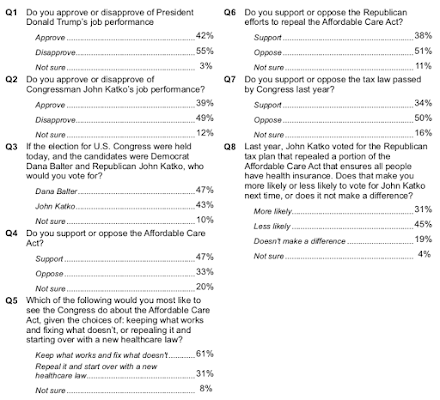 And once pollsters told voters more about how Katko actually voted on specific pieces of legislation, Balter goes up to 48% and he sinks to 42%. Had the DCCC not interfered in primaries around the country, the Democrats would be looking at 70 House flips, not 40. "The Republican Party is the Grand Old Party. It's made enormous contributions to the success of our country. And it is a party that has embraced its leadership role when it has had the majority or the White House." And this is the Party that too many think can be taken from within! To logically conclude the thought above, Syracuse (and everywhere else) is irrelevant. Only San Francisco and big money are relevant. We have either been ruled tyrannically by the Nazi minority (with help from democraps) or by the SF minority since 2006. Of course, we've been ruled tyrannically by the CxO and billionaire minority since 1980. And we vote for this tyranny every single time.